Will joyriding on abandoned train tracks be the next big thing in the Bronx? A group of Bronx residents is hoping to add a little green space and adventure to the borough by revitalizing its abandoned train tracks. Their innovative idea would allow citizens to utilize the patches of abandoned track to joyride in their own personal rail cars. The plan still faces extensive fine-tuning and many levels of approval before getting off the ground, recently got its start with a test drive of a retired rail car called the Bronxstack Continental. 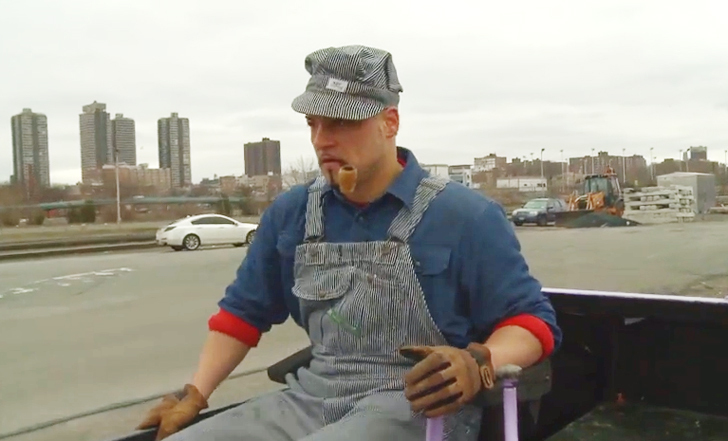 The test drive carried a team of pioneering enthusiasts organized by local food personality Justin Fornal through the Harlem River Yard, chugging away along the industrial landscape. Passengers, with hats and coats on in the open air, experienced a train ride where they could feel the bumps and chugs of the old tracks. Should the plan come to fruition, supporters believe it could help to redevelop the South Bronx waterfront. With countless patches of tracks that have gone unused for years, the unique project could help to encourage the Bronx’s reputation as a destination. The Bronxstack Continental could come to the public as early as next spring, but safety issues still stand in the way. The owners of the tracks, Harlem River Yard Ventures, gave clearance for the Bronxstack Continental to make test drives, but no decisions have been made about its future.